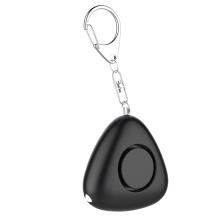 *This is a personal anti-wolf alarm defensive device,when a woman travels on a dark day or goes out alone,If she is approached or trailed,she can pull out the latch and protect herself,the high-decibel alarm sound will scare the bad man,very convenient and practical,right? *Are you often worried about your kid’s safety when she/he walk to home after school?children can take one with you.If she/he runs into danger,she/he can pull out the alarm,so cool and reliable. *With LED flashlight function,a high-decibel alarm sound while the LED light flashing high power,which can scare the bad men and giving the bad men large pressure,in addition,the LED light can also used be a emergency light to illuminate your road to home. *Simple and elegant design,you can hang your keys with the hook,very convenient,small size and easy to carry. *The elderly person suffering from illness can carry it and sound an alarm when he/she feel uncomfortable,that may restore his/her life or avoid the bad things happening.